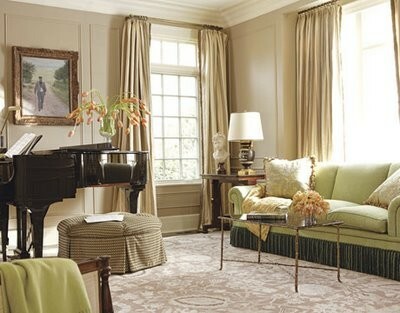 Always carry a color through out your room, like this one with the green sofa and the green throw. 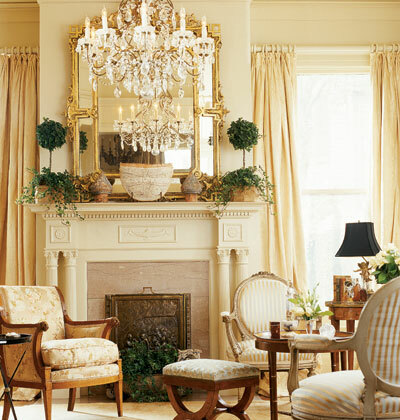 A soft, golden, tone on tone, traditional living room with transom windows letting in lots of light and neutral carpets defining the groupings. I personally love mantles with the double columns. A living room swathed in sea glass blues with a view of the ocean. What a staircase! This room, with its French provincial look and white furniture, is certainly not for everyone – I have to use lots of throws on our white sofas because our puppies love to traipse through the mud! With high ceilings or 2-story rooms, don’t be afraid to take art and shelves way, way up so that you aren’t left with barren or dead wall space. A more modern living room. A little strange to see 3 mirrors in a row, as it seems like mirror overkill, but because the frames are white on the flanking mirrors, they do not seem too redundant. The ceiling is A-MAZ-ING!!! Architectural details on the ceilings are too often a thing of the past and that should not be the case. I am working on a design for our living room and am going to move through all the ceilings in our house! And there is no better way to showcase the feature than paint! 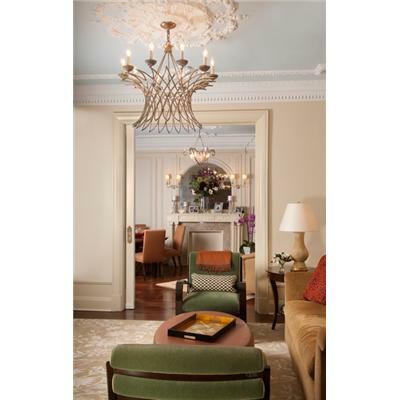 Love the crown molding, chandelier and color scheme. The ceiling medallion does not look original to the structure, however. 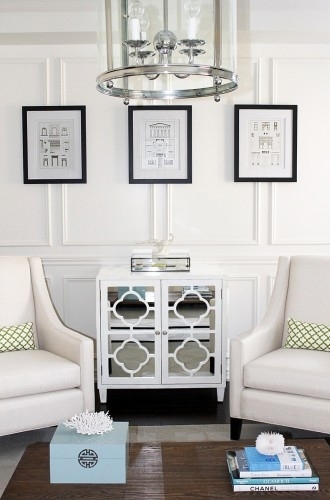 An alternate way to hang pictures on panel molding – you would normally hang them inside the box. Such a feminine room. Architectural details do not always need to be ornate – simple, linear molding can be used. Notice how the scale of the baseboards is in relation to the height of the ceilings. Again with the moldings and plaster work on the ceiling highlighted by a soft sky blue. An interesting way to accommodate books and reading lamps for a small space. It’s a commitment getting a sofa in pink, but I do love pink and black together! Once the spring cleaning is over, I’m hoping to get back on track with with some projects. I always have at least four percolating in my head, but I spend a lot of time researching and planning first before I pull the trigger. I’m hoping to write about those soon! In the meantime, I’m working (but not sure when they will be finished) on some posts and shooting pictures of another room in our house that we did major work on…and this time, we knew what we were doing, unlike our kitchen! If you missed my kitchen DIY posts, we added a mantle above our range, then pull out spice racks, molding to the cabinets, new pilasters to our doors and crown molding. So fun looking at pictures and I hope you enjoyed them too! I do not know if I could rock that pink couch and maybe my other half would think I have gone off my rocker too – ha! Haha!! My husband never involves himself in the design process, but even I would think twice before doing that to him! I do think it is smart looking, though! I love the French provincial look with the staircase and the blues with the ocean view! Great post! Sublime. 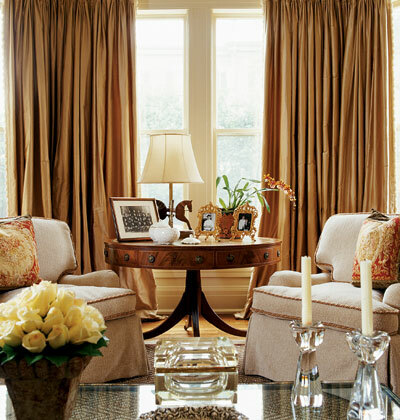 There’s nothing like simple, soft gold, flowing dupioni drapes with sunlight-hued walls to just comfort and soothe. So very understated, elegant and sophisticated! Question, the more old world furniture and architecture is done in light colours while the modern/eclectic is in dark/bold, is this typical? Thanks, Jay! It is so unique! So many great ideas. I particularly like looking at how they handle their windows. 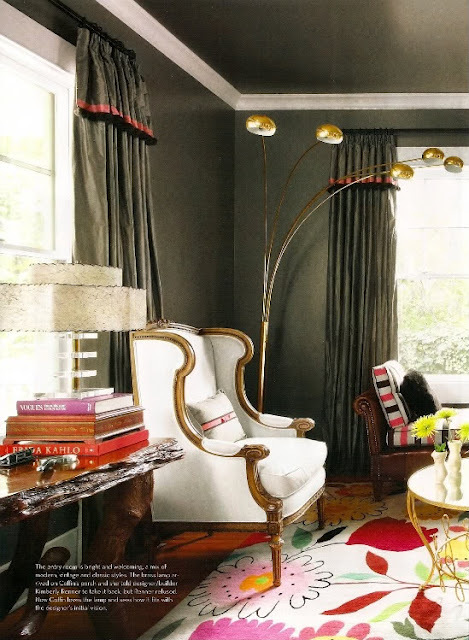 That Kim Parker rug in the olive room is to die for! I’ve spec’d it for a little girl’s room before but it is so versatile. And that staircase is out of control, loving it. Oh they did go for it after some convincing 🙂 It’s a stunning rug and It looked so sweet in her room! 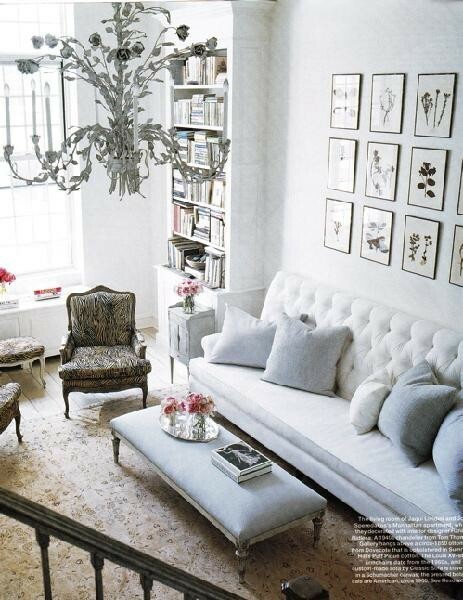 I love these rooms and all the chandeliers. Just spectacular pictures, Kearney. Thanks! Some of these pictures I saved because of their chandeliers. 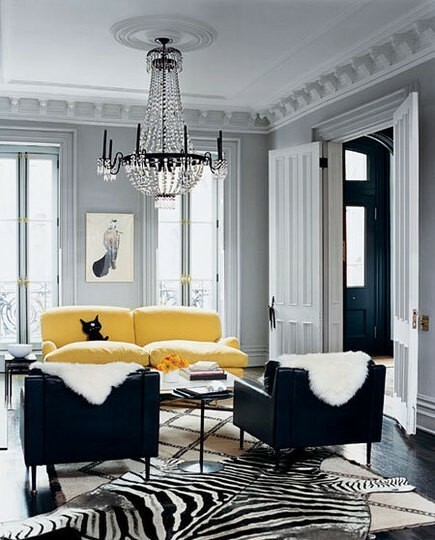 The black, white and yellow room I want an antique version with more of a doré finish. Also the first photo and the third and fourth from the bottom I saved for their chandeliers. I still need one chandelier for a guest bedroom and two for our living room, so I am always on the look out. I just love chandeliers I could change them out often I just love them. My dream home would include a porch, elegant room with a piano, and a spiral staircase!!!! Love the photos! Fantastic Rooms! I think my quilt would go really well in the blue room with the sea views. In fact I wish I was there sewing right now! It definitely would! How serene is that room with that view!?!? I doubt I could ever be productive though – you, yes – me, no! Thanks – anytime! I’m so glad you enjoy! Me too! I’m just so darn indecisive! Lol!! Thank you SO much!!! I am very honored and extremely excited!!! Congratulations to you as well for a very well deserved award!! I agree completely!! That’s why I saved some of these pictures, specifically the first, the black, white and yellow (I’m want this exact one, but an antique one with a little more of a gold tone, for my dining room!! ), and the third and fourth from the bottom. You have a good eye! Those are all so beautiful, but with three teenage boys it will be awhile before I can aspire to that. Haha!! I should post a boy friendly edition!! The double whammy being “boy” and “teenager”! How do you manage?? I have 2 girls!! My friends who have boys (especially ones who have one of each) talk about how the boys are lovier towards their moms than girls are though…not as much attitude! I’d take that any day over a nice room! I wish I could sit in that small and simple reading room for a few days until I would get tired. Reading nooks are the BEST!! 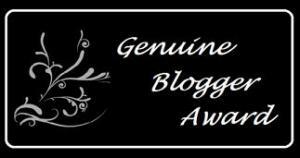 Thank you so much for checking out our blog, we appreciate your support! Especially because the owner of our gallery is an antique and fine furniture restorer as well and so we are constantly working with interior designers and decorators here in NYC! First of all, thank you for the visit! 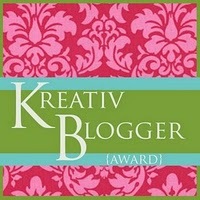 Second, and most importantly, I love your blog! I have been reading it religiously for a few weeks now and although I did not comment until now, I really, really like and I find it very inspiring. I appreciate very much the multitude of wonderful images you add every time, I know it is not an easy process. So, thank you again! I’m so glad you commented! I adore your images and cannot imagine how you collect such a diverse range of beautiful images! It takes me a LONG time to post (easier now that I bought a new MacPro, but still long!) but I don’t have to comment on such a wide range of topics! Very impressive!! Thank you for visiting me too! Only if I do too 😉 I have tumbleweeds of dog hair at times! 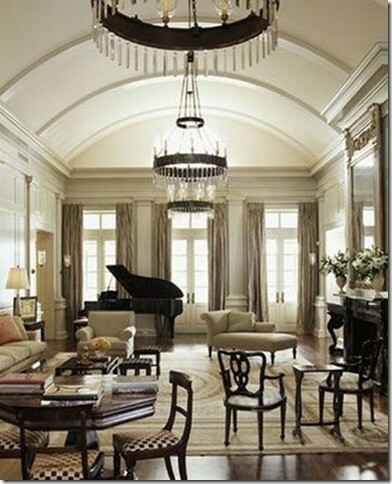 What I love about so many of these beautiful rooms is the use of neutral base colours with subtle highlights of colour. As a photographer, this pleases my eye. It is something I have tried to do in our own home. Our ground floor space is quite open plan and the flow of cream and warm beige helps the space flow. You have chosen such beautiful images here. I’m gonna have to agree that the flow of colors in these homes ias well as the use of space is masterful and you helped define the answer, for my question, in which Adetailed artist had loosly answered in her descriptions. Excellent post! You are very knowledgeable about design elements and and theory. My college professor told me that people do not want artwork thats to bold which is why I feel like people love my work yet my sales are down. However, he never elpained to me why this is the case. I feel like you could help me out on this one. In general, how could I tone my work down while attaining the pieces dramatic qualities in a way that would look good in either of your setups? Thanks a lot for your time. I love architectural detail too and am a sucker for wood furniture and crown moulding. So much of “finishing” a room is in the final 5%. The warmth and livability of these rooms is achieved by the attention to the little things as well as the big ones. I am glad to see so much color too. When I was about done decorating our house, I had someone come in and help with that last little bit. I told her as we walked around the house that I thought that white was for those who couldn’t pick a color. So many times it is a default choice out of fear of making a wrong one. I’m real new to this and you just got me addicted to a powerful new tool. 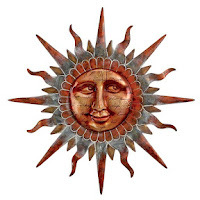 You seem very knowledgeable about design elements and principle and I’m always looking to gain a different perspective from someone with knowledge. My professor once told me that people do not want to to hang pieces of art in their homes if the piece is to loud. I’ve had success selling my work in the past but it was mainly to college students. I am now older an need to appeal to a different group and as I’m reading your blog I’m thinking how could my work fit into any of these rooms.? It’s hard for me to see it. I read that you’ve seen your fair share of lavish homes so I was curious of what you think of how my work could fit in homes like this and have you seen artwork of my type which is bold and dramatic in any homes you have been to? Hmm…I think there may be a little credence in terms of a general audience, but I would *not* agree with that statement whole-heartedly. In terms of art acquisition, there are times when the rooms are soft and colors are subdued, that loud art would detract from the feel of the room, but I also think rooms need a “statement” piece – it can be furniture or art – something that is interesting. Now some colors and combos just don’t appeal to people, so there will be more success with certain hues (blues, golds, greens, with pops of berries, reds, etc) than others. The one thing that you are doing right, that I see SO may artists not doing, is the size of your artwork! I can’t tell you how many pieces I have liked, only to find they are 8″x10″!! The pieces I like of yours are Mother Earth, In a Sea of Green and esp. the right side of The Golden Sea (I would just tweak the color of the trees a little, but that’s just my preference). With large paintings, I would also make sure to have images within images for visual interest, like you did with the clouds in The Golden Sea. I really appreciate your response and you have helped me in more ways than one. For the longest I kept The Golden Sea in my stockpile because I knew there was something captivating about the right side that I needed to incorporate into my images. I just never did because there are so many Ideas going throuh my brain and I never really had the guidance to express the ones that make for great decor. I always paint from the heart but I have to make money doing what I love so as I get older I realize that I have to cater to a different audience. My mother, who is 53, was most impressed by Mother Earth but I just thought that was motherly love and didn’t heed her words like I should’ve. I’m going to have to agree that the scale of my paintings is one of the things that make them more powerful. These pieces are actually small for me. As an inspiring muralist, when I was a student I would paint these huge pieces (48″ x 60″) While that’s great for some businesses I had to scale it down for homeowners. 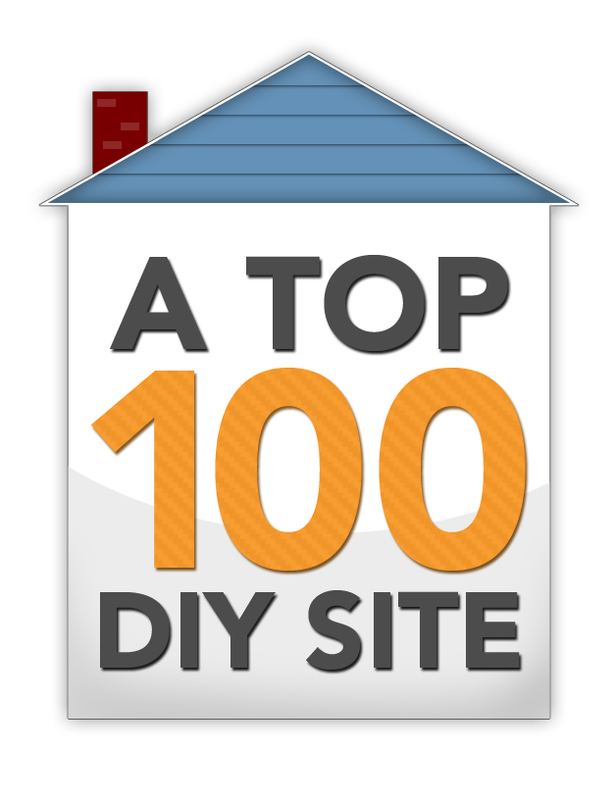 Once again your help is greatly appreciated and you have indirectly helped me figure out this blog process. 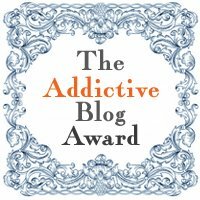 I’m real new to blogs and I now realize that I need to write interesting articles about my work. My blog is stil in progress and I’ll be posting new work, including a mural I painted at a very popular restaurant in Oklahoma. 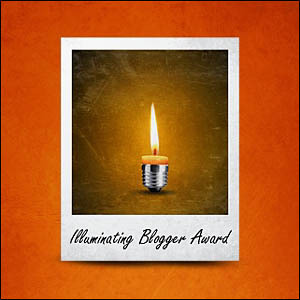 I will definately continue to follow your blog and thanks for your time. You have a beautiful eye for detail. I will stop by agian! 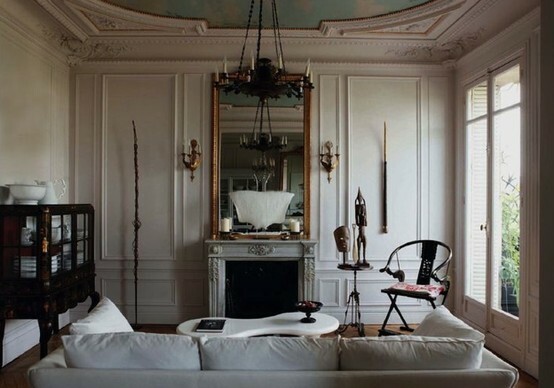 Beautiful and elegant interiors, we have a lot to re do in our new home, some of these are a wonderful inspiration. My first house that I bought in 1984 had 12 ft ceilings downstairs and inlaid wooden floors and pocket doors. It would have looked great decorated like some of the rooms you show here. Thanks for the wonderful photos. Great pictures~ I LOVE everything about the first one especially! Some day I want a house with a parlour just like the first picture you show here… with the barrel ceiling. My honey does that for me and I will learn the piano and I will play for her every day! I like the pink sofa, but I don’t think I could sell my inamorata on it. She has been eyeing this dark cherry/cream striped sofa. I’m not a huge stripe person, especially not in a big piece of furniture as a sofa. Oh well! Maybe when we fight, she can take the sofa for a change! Wow, I love the staircase!! I just drooled all over my keyboard. Seriously. These rooms are just too beautiful to be real! I love looking at beautiful rooms and deciding where I could put furniture and paint and wallpaper. 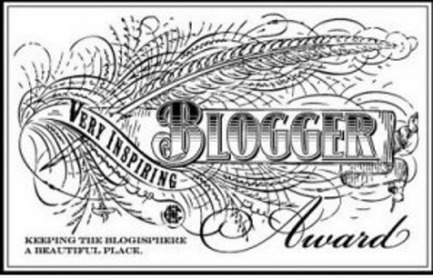 Your site is so inspiring and beautiful, I’ve nominated you for the Versatile Blogger Award. You can find more info at klynwurth.wordpress.com, where I’ve had you linked for several weeks now. 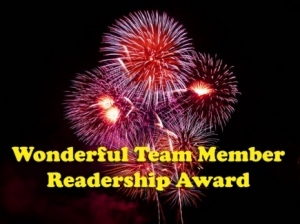 Thanks for sharing yourself and your thoughts with me and with my readers, as well. Great work! 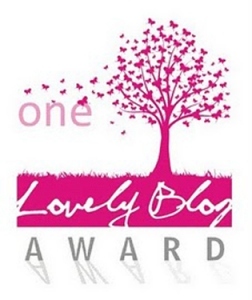 Thank you so very much for the nomination and the link!! I appreciate it so much!! I am a new visitor. To say you are an ispiration would be lacking in creative words. Oh my, your blog took my breath away. So lovely, so glad I stopped. I will be back. Thank you for sharing your uplifting look at the world. 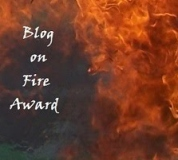 I feel bathed in grace just viewing your blog. Absolutely stunning rooms. Thanks for sharing!!! You have such elegant tastes! Your posts are very inspirational. Although my own tastes are not quite so glamorous it’s so lovely to see such a pretty style. Thanks for this post. I learned quite a bit of useful information about decorating and for that I’m grateful. Gorgeous rooms. I will say, I have a chandelier like that one in photo 3. 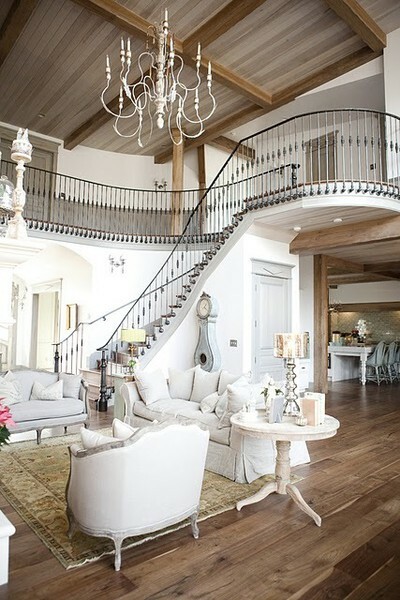 Beautiful and harmonious, with a lightness of touch – love the staircase! 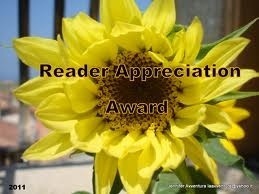 Keep writing and thanks for sharing! LIke your attitude that you’re not deterred by all those inevitable put-offs of renovating. My fave is the pink and black . . . enjoyed your tour. Thanks! Awww!!!! You are so awesome!! 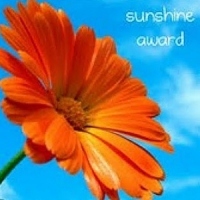 Thank you so much…I get inspiration from you as well, which is why you were so deserving of the award! Congratulations! Number 5 is amazing! I’m loving the dramatic staircase! ugh. 6… I promise I can count! I have a similar taste to yours, but less polished – I hardly get to invest any time into this – so I am finding your corner of the web very inspirational. Such elegance is breathtaking. I especially love the first one with the piano.